Shopping for Justice League Cases? Don't carry your retro DC Action Figures around in something drab - carry them in something fab! With this Justice League DC 8-Inch Action Figure Carrying Case, you can carry all of your favorite 8-inch tall Justice League action figures around without having to worry about them getting damaged or misplaced. 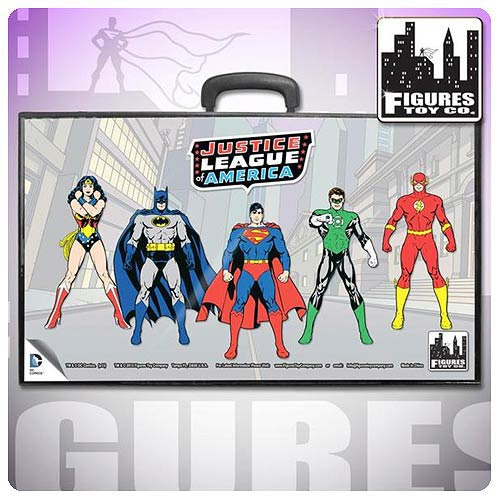 The Justice League of America Carry Case features an image of Wonder Woman, Batman, Superman, The Flash, and Green Lantern.